Mosaic tile backsplash is a bridge between the ancient and modern era where, kitchen remodeling meets with your artful and colorful personality. The basic definition of mosaic tile backsplash is the art of combining tiny tiles together to create a larger image or pattern. In some conditions, large tiles with picture pieces have the same meaning. No matter what size of piece, pictured tiles are like puzzle pieces and also called mosaic tile. Your kitchen wall can carry the figurative designs, which integrate visually with existing tiling and decor: Landscape, blooming tree branches , beach, florals, abstracts , geometric shapes are some of the mosaic tile backsplash ideas. Please consider that, the simplicity or complexity of the pattern will affect the final cost to create the desired end result. Stone mosaic tiles add a sophisticated and complimentary approach to any space. 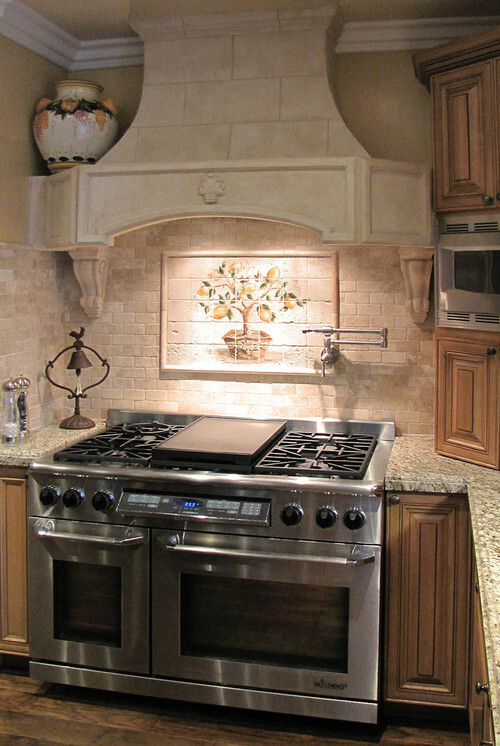 The favorite stones to make a beautiful stone mosaic backsplash are marble, travertine and natural rocks and slates. Glass mosaic tiles can be both dramatic and soft. Fused glass is picked for more artistic forms of backsplash. Adding an accent wall behind your range is a popular choice when updating your kitchen. Glass tiles are one of the easiest mosaics to clean and maintain, making them an excellent choice for your backsplash selection. 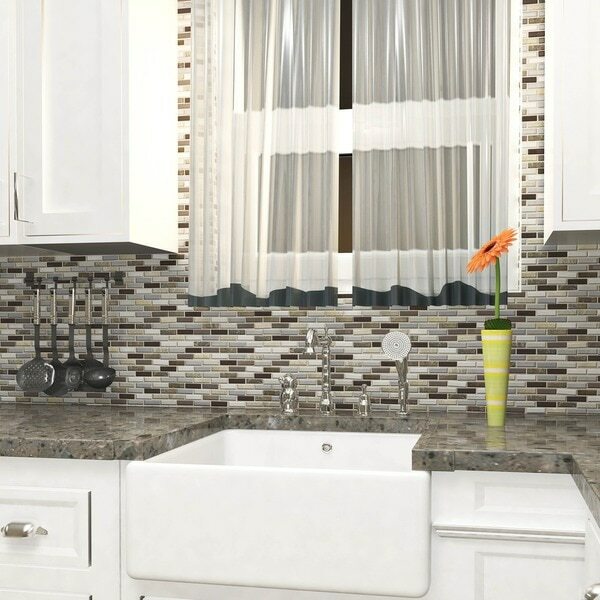 Ceramic mosaic backsplash tile is one of the favorite of interior designers and architects. The advantages of ceramic mosaic tile are: strong, long-lasting and guaranteed to make any interior look amazing as the quintessential wall feature. To visualize the endless imagination I would like to introduce the broken china pieces as ceramic mosaic tile. Metal mosaic tiles add a contemporary look to your space that is both bold and elegant. Using metal tiles as a back-splash provides your kitchen with a genuinely stunning look that better showcases your design aesthetic. Most picks goes for stainless steel and copper. Admired designers are working hard to put new vocabulary to the mosaic backsplash ideas. In these days, many different material can be combined to show the art exhibition in kitchen design ideas. My favorites are: Slate and Glass, Travertine and Glass, Marble and Glass, Glass and Metal, Glass plus Ceramic and Resin , Marble plusGlass and Metal and especially Glass plus Travertine and Shell mixtures. 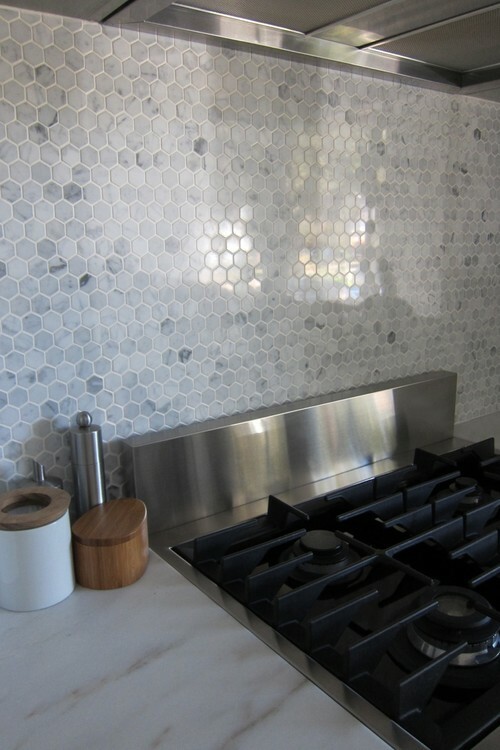 Here are my eye candies of mosaic tile backsplash in pictures. Hope you like them all. 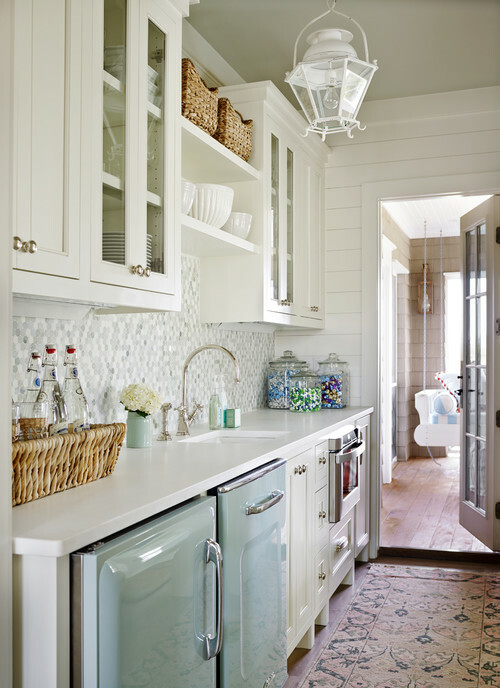 Picture Credit: Houzz., Polished Calacatta White Marble Mosaic Backsplash Tile. Picture Credit: IT Sonoma Style. Soft touch into your traditional kitchen. Travertine Mosaic Inlet. Puzzle style mosaic tile. Picture Credit: Solara Designs Inc., Utterly amazed. 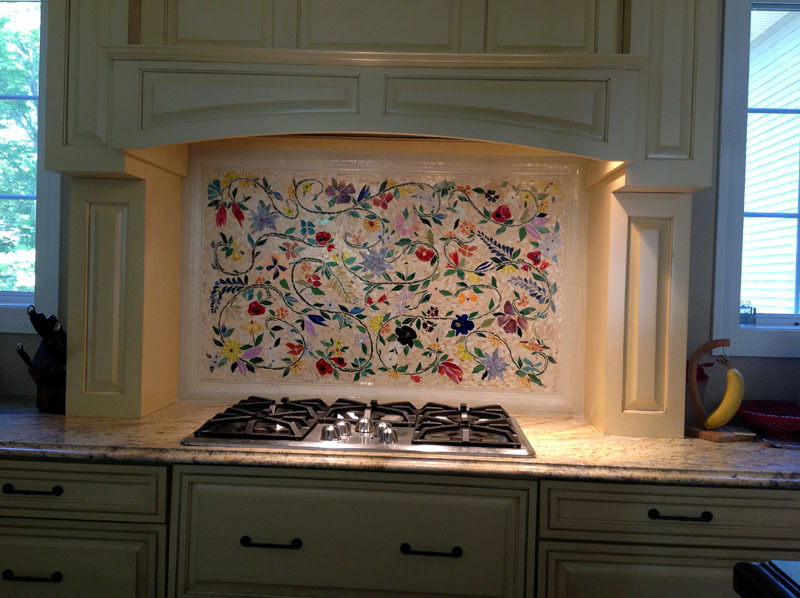 Custom Handmade Glass Mosaic Backsplash. 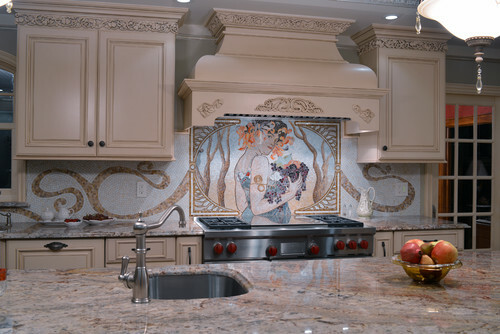 Picture Credit: Designerglassmosaics., Sophisticated Glass mosaic tile behind the range. 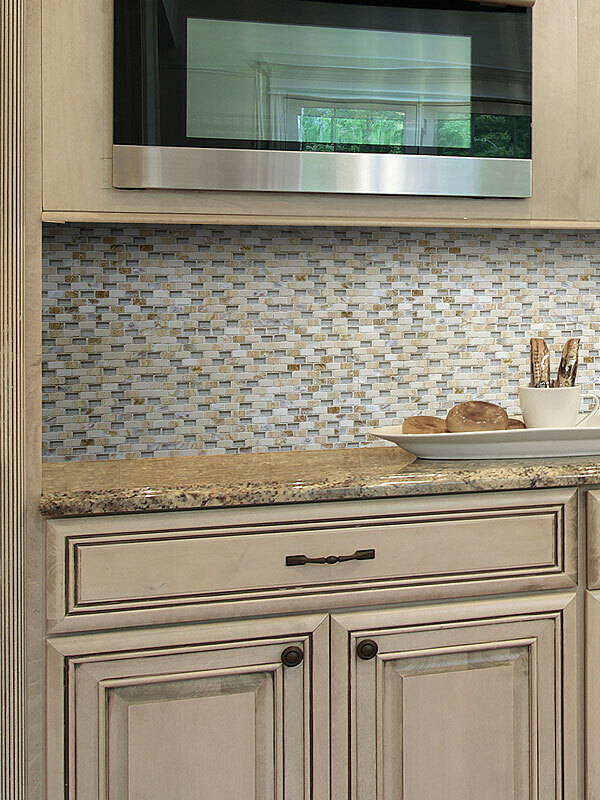 Picture Credit: Overstock., Neutral color blend glass mosaic backsplash tiles. 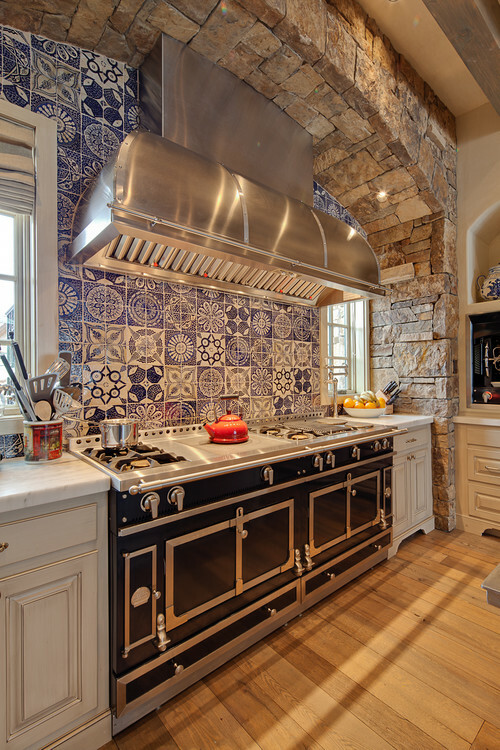 It may be categorized as matchstick backsplash or glass matchstick backsplash tile as well. Picture Credit: Tracey Stephens Interior Design., Admiring combination of the broken ceramic pieces to make a unique mosaic tile backsplash. 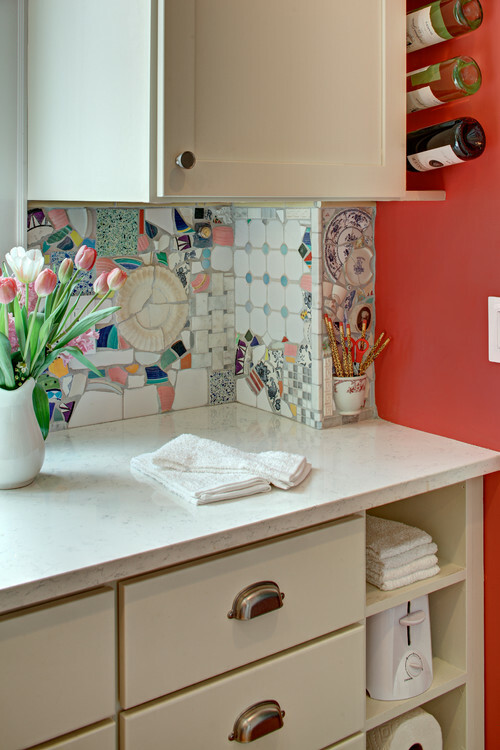 Picture Credit:David Johnston Architects.,Mixmatch style ceramic mosaic backsplash tile. Amazing design , keen eyes. Picture Credit: JC Designs. 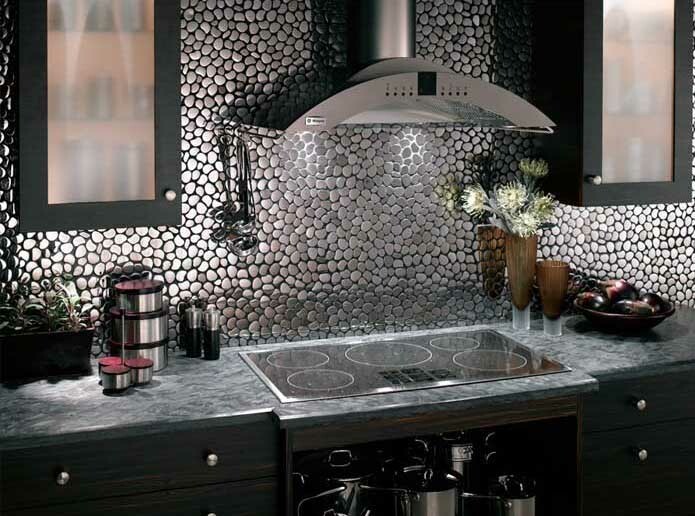 Stainless steel mosaic backsplash tile. Like cute pebble stones. 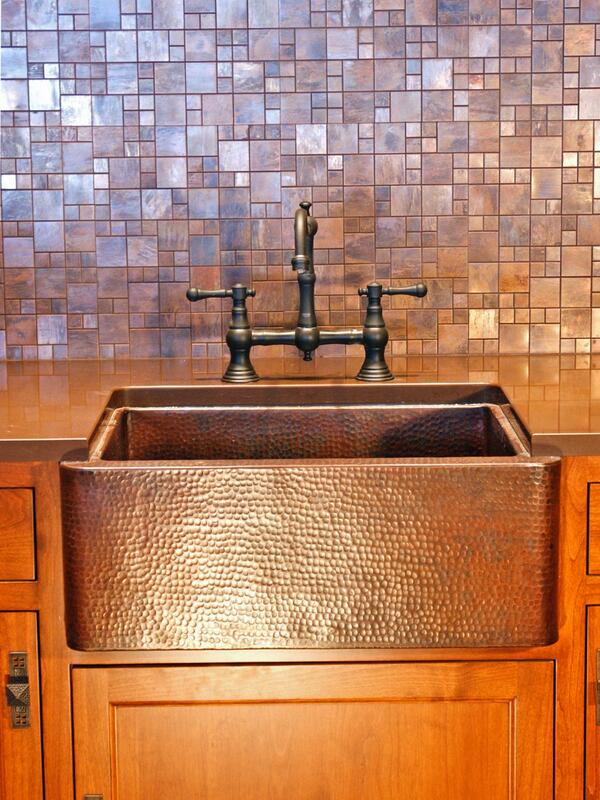 Picture Credit: Backsplash., Mixed Material mosaic tile backsplash seems very warm and elegant.